Karl Hanlon speaks at a campaign event at Downtown Books in Craig on April 7. CRAIG – Karl Hanlon, a Democratic candidate for the Third Congressional District of the US House of Representatives, talked about a number of issues including coal, education, immigration, rural healthcare and public lands at a campaign event April 7 at Downtown Books. The event was part of Hanlon’s 29-county “Topple Tipton Tour” of Colorado’s Third Congressional District. 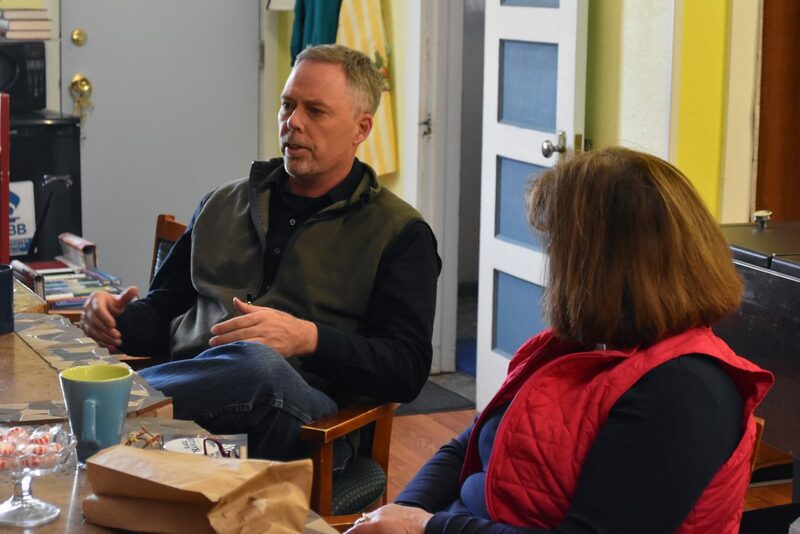 Hanlon also made stops in Meeker, Walden and Steamboat Springs Saturday.